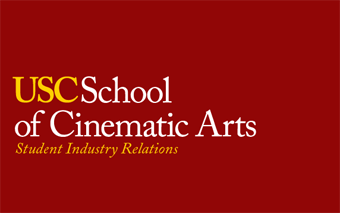 The students at the USC School of Cinematic Arts know how to make films. In the end, what vexes some of the brightest minds at SCA is how to get a film out into the world once it’s done. On Thursday, April 5th, KCET will help a handful of students out by broadcasting their work as part of their Open Call series. Films in the April 5th broadcast include: Good Grief, a touching comedy portraying the thrills and despair a lie can manifest in a young man's life. Efrain, a coming of age story of a 10 year old Hispanic boy whose life is changed forever in an instant. Your Wedding, a young girl’s attempt to make her brother's wedding unforgettable goes awry. And Signal, a dramatic exploration of how mankind is affected by our inability to know what truly happens after we die. Throughout the year, Open Call will spotlight productions and other arts-related content on air and online from a wide spectrum of additional Southland arts and culture organizations, including UCLA Live, University of Southern California and Los Angeles Ballet, among many others to follow. The show is hosted by Suzanna Guzmán, an internationally renowned performer and Los Angeles native, who sets the stage for viewers in each episode, contributing her unique insights into the evening’s performance. “We are honored that Suzanna will be able to contribute her unique artistic sensibility and expertise to give viewers a backstage pass to these productions,” added Jerome.